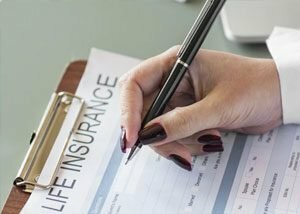 Life insurance and annuities law is fraught with complexities and specific legal nuances that are unique to this ever-changing area of law. 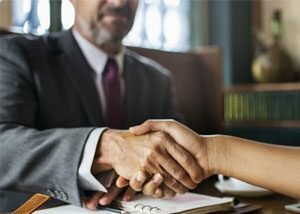 As such, it is crucial to partner with a life insurance lawyer who focuses exclusively on this area of practice; general practicing lawyers may well be ill-equipped to handle these areas of law, and one mistake can prove catastrophic. Most people buy life insurance without having any understanding of the policy they are buying. Many financial advisors do not adequately understand the product they are selling, and fail to properly explain how it works. There are many areas of complexity in life insurance that can lead to mistakes, misunderstandings or worse. If you are involved in a life insurance or annuities legal issue, or are concerned that you are being taken advantage of by an insurance company or broker, it is important to understand your rights as soon as possible; life insurance law cases can be highly complex and the statute of limitations may be ticking, meaning you only have a certain amount of time to take action. Focusing on life insurance issues since 2006 with over 42 years experience as a litigator. We have litigated hundreds of life insurance cases including Wrongful denial of benefits, Interpleader disputes, Agent Professional Negligence, Churning (Twisting), Unsuitable sales, Premium Financing, Secondary Market Transactions, Fraud, Financial Elder Abuse, Undue Influence, and other issues. Life insurance is a highly complex product, and there are many different and confusing issues that can arise. We have a depth of experience that enables us to quickly grasp the issues, to understand what needs to be done, and to develop successful strategies to advocate on your behalf. Benjamin Blakeman is one of very few litigation lawyers with field experience selling life insurance and enforcing compliance rules within a life insurance sales agency. Annuities are some of the most complex and poorly understood financial products ever invented. We have the expertise to recognize and to analyze issues that is second to none. If you believe you have been misinformed about annuities or financially suffered because of advisor/broker misconduct or negligence, partner with a skilled life insurance lawyer. 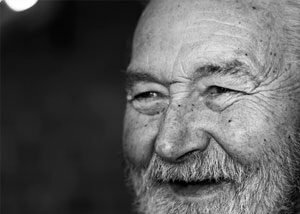 he California Elder Financial Abuse Law is one of the broadest and most effective remedies for this persistent and pervasive issue in our society. Many elders are too ashamed to admit they have been duped. Don’t be. Dishonest financial professionals depend on your reluctance to come forward when you have been wronged. Don’t let them continue to take advantage of people like you. Let us help. If your life insurance claim is denied, there are statutes of limitations that begin to run immediately. If you fail to pursue a remedy within the statute, you may lose valuable rights. You must act promptly. If you believe that you are a victim of bad faith, it is important to reach out to counsel as soon as possible to understand your rights and to what you may be entitled. Your deliberate and decisive action is critical. You need to protect your rights by taking action as soon as you realize there is a potential problem — the statute of limitations clock is ticking. Whenever a death occurs within two years of the issuance of a policy, the insurance company will scrutinize the application to find any possible reason to deny the claim. Many such denials are based on inadequate reasons. We have over 18 years in the life insurance industry and over 11 years litigating life insurance claims. We can tell you almost immediately whether you have a valid claim or not. But it is important to reach out. As a life insurance attorney, I am prepared to bring nearly 40 years of experience to help you resolve any life insurance contestability issue. It is important to reach out as soon as possible because the statute of limitations may be ticking. I encourage you to get in touch as soon as possible. Unscrupulous financial professionals will often try to convince unsuspecting clients that their old policy or annuity is no good anymore and there is a much better one they can put you into. Sometimes this is true. But a lot more often, they are just trying to earn a commission without providing a service of value. What’s worse, when you replace a life insurance policy, a new period of contestability begins to run. If you have been a victim of wrongful replacement (also known as Twisting or Churning), it is imperative that you find someone who can analyze and understand the issues. Because I have worked as a life insurance agent as well as a lawyer, I am able to efficiently and effectively determine whether or not you have been unfairly denied a claim or delayed. As a life agent and former compliance officer, I can assist lawyers and others with analysis of life insurance and securities issues as either an expert witness, consultant, or co-counsel. I am intimately familiar with sales practices, compliance issues, and operational practices of insurance and brokerage agencies. I have substantial experience in analyzing the relevant issues, and I how to build a case against brokers or agents that have sold unsuitable products, mis-designed life insurance policies, sold inappropriate annuities or securities products to your clients. If you had a life insurance policy and a controversy has arisen regarding your policy, I am prepared to bring nearly extensive experience to understand all issues and advocate for you. I have extensive experience litigating against brokers, insurance companies and others. I will bring my comprehensive knowledge to obtain everything to which you are entitled. Dear Mr. Blakeman, I just wanted to thank you myself for your persistence in getting Eileen’s cooperation and the work you did in getting Eileen the payout from Aetna that she deserved. Our mom was as honest as the day is long. She would never have knowingly falsified or intentionally been dishonest in her policy application questions. The policy payout is not a fortune, but you don’t know how much it will help us in getting Eileen out of Vegas at the end of September, moved into my house and on her way to a new life in Albuquerque. I’m so looking forward to her arrival. Thanks again and God Bless. My sisters and I were discussing our case and we decided that we would like to thank you. We know that you will handle our case better than anyone else. We are so glad we chose you as our lawyer. My sisters and I feel very confident with you representing us. When *** was representing us we felt stressed and worried. You are very professional and have a lot of knowledge when it comes to life insurances. Again thank you for taking our case. We highly appreciate it. If you have any issues involving Life Insurance, Annuities, or Financial Elder Abuse call us now for free legal consultation! Would you like to speak to one of our life insurance lawyers over the phone? Submit your details and we’ll be in touch shortly. You can also email us if you would prefer. We provide expert legal advice for Life Insurance, Annuities, and Financial Elder Abuse. With more than 40 years of experience, we'll make sure that you are getting the best guidance. © 2019 Blakeman Law. All rights reserved.